In the mornings, while they’re getting ready for school and eating breakfast, I’ll heat up some leftover soup on the stovetop. Next, I’ll ladle it into the Thermos Soup Container Mug and screw on the lid to keep it hot and ready until lunch time. When they’re ready to eat it, they just remove the cap and foldable spoon, scoop some into the lid that serves as a bowl, and voila, they have a hot lunch from home. I kept the Thermos Travel Mug for myself. 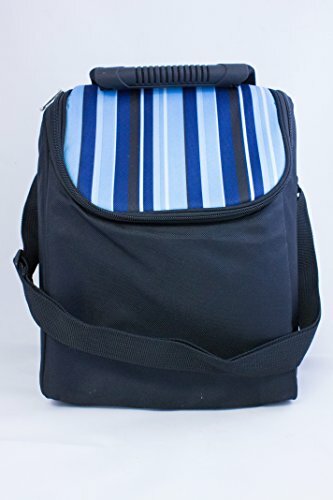 I adore the cute plaid print, and it does a wonderful job of keeping my drinks hot or cold, depending on the contents. Living in New England, there is a certain coffee company with a store on practically every block. Here’s a confession. I don’t drink coffee 🙂 I do like hot chocolate, but I’m picky about it, and I prefer to make my own at home. It’s so much easier (and less expensive!) to make a quick batch at home, and fill up my Thermos Insulated Travel Mug before I head out the door. I get the taste I want without having to wait in a drive-thru line, and it stays my preferred temperature while I’m on the go. I also like drinking ice water, even in winter, and I’ve filled up my stainless steel travel mug with ice and water, and it passed that test too! Typically, I take bottles of water with me, but it’s SO COLD here in the winter, that I’ve had them freeze up on me if I’m away from my vehicle for an extended amount of time. In my Thermos Travel Mug though, the water stayed cold, the ice didn’t melt, and none of it froze up! 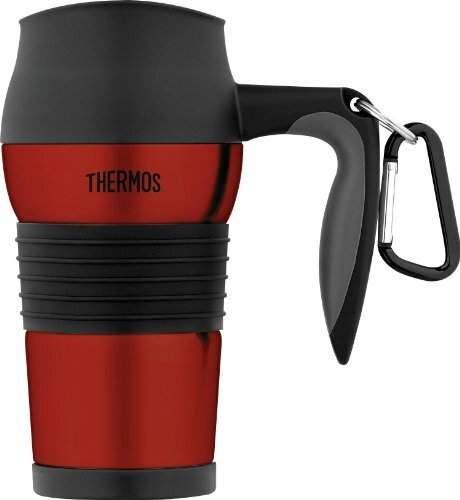 While holiday shopping may be over, plan ahead for next year and stock up on these as great gifts for everyone on your list from Genuine Thermos Brand. 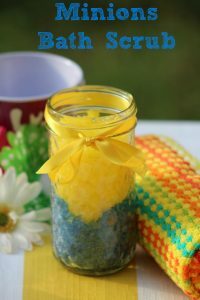 They’d also make excellent wedding gifts, housewarming gifts, hostess gifts, or graduation gifts. 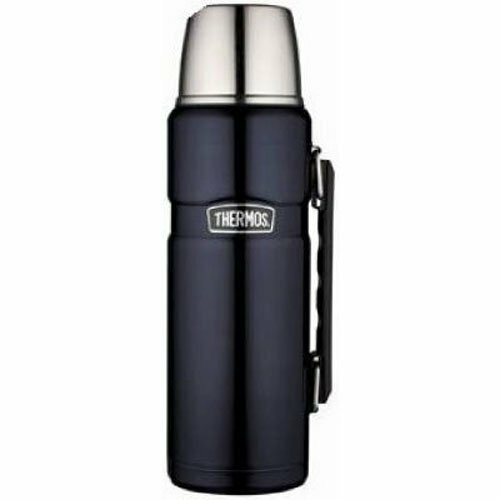 • Dimensions: 7.6″ H x 3.3″ W x 3.3″ DPerfect for on-the-go fashion-forward beverage enjoyment, the Grey plaid 16-oz Thermos, Vacuum Insulated Tumbler is a chic choice for keeping coffee, tea or any warm beverage hot and delicious. 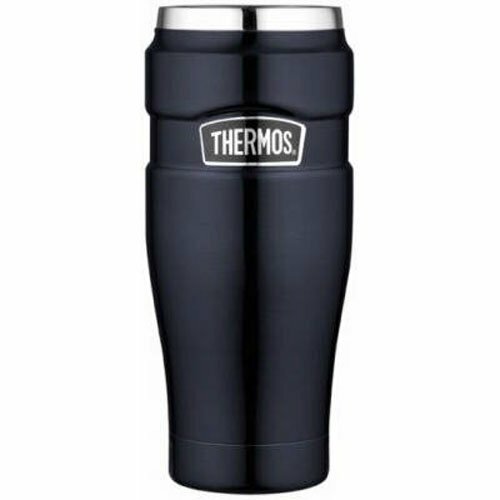 Thermos vacuum insulation technology and durable double wall stainless steel construction will keep drinks hot for up to 4 hours or cold for up to 8 hours. Techies can barley keep up with the latest trends these days. Luckily, the Connected Hydration Bottle will keep them ahead of the game. This 24-ounce bottle calculates suggested hydration goals based on personal data that integrates with the Thermos Smart Lid app. Easily chart, graph and monitor hydration daily, weekly or monthly on your Fitbit, iPhone or iPad. For the ones who are always going to and from the gym, gift the Thermos brand Shaker Bottle. This bottle includes an integrated mixer for optimal blending, a flip-up lid with a one hand push button and has a contoured body for a comfortable grip. Making and transporting a pre- or post-workout beverage has never been easier. Help the chic people in your life stay stylish with Genuine Thermos Brand Heritage Plaid Tumblers. With vacuum insulation technology, this tumbler comes in a ravishing red or a gratifying grey. Trendy and convenient, these tumblers come with a built-in tea hook will keep beverages hot for five hours and cold for 18. Perhaps those busy people you care about need a pick-me-up. 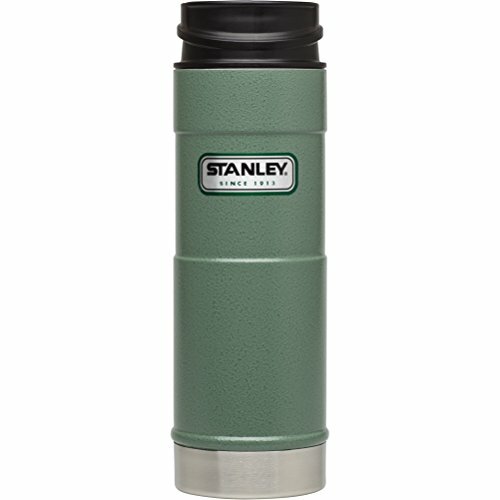 Provide them with 16-ounces of love this holiday season with a Thermos brand Stainless King Tumbler or Vacuum Insulated Beverage Bottle. These bottles’ stainless steel durability, and ability to retain maximum hot or cold temperatures will keep your loved one feeling like the king or queen they are. Food fanatics can never have too many portable jars or containers. 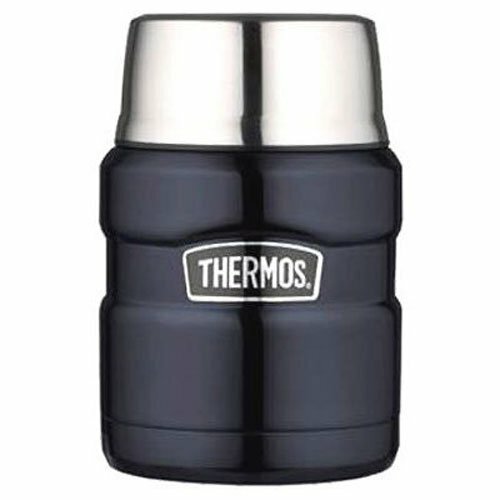 That’s why the foodies in your life would be pleased to receive a Thermos Dual Compartment Food Jar, Vacuum Insulated Food Jar with Spoon or Food Jar with Microwavable Container. Every lunch from home or travel snack will be as fresh as ever. Don’t miss my recipe for Homemade Chicken Noodle Soup, featured in the Thermos Soup Mug image! 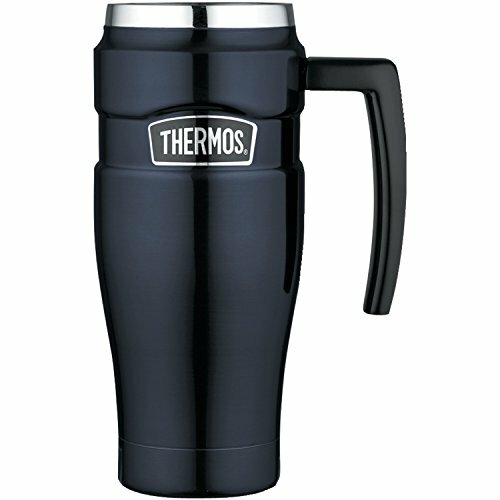 (Thermos Travel Mug & Thermos Soup Mug) My husband has been using their 40 ounce thermos to take his coffee to work with him for years now. I have the travel one cup tumbler for me.